Homemade pizza = Simple. Easy. Delicious. It’s nothing fancy, but a homemade pizza topped with fresh, meat-free ingredients is all you need for a tasty Meatless Monday dinner — and that’s just what we’re about to enjoy tonight. Bon appetit! 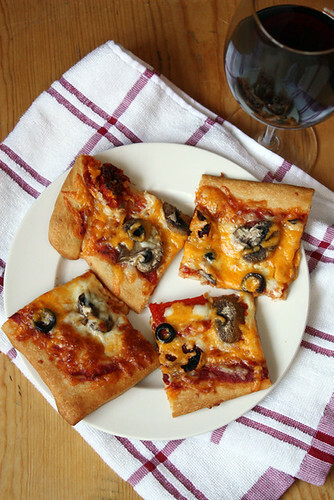 Preheat oven and prepare pizza crust according to package or recipe directions. Sprinkle crust evenly with toppings, and bake until golden brown. Remove pizza from oven and let rest 10 minutes before slicing. Serve warm.